Full spectrum extracts are rich in CBD, typically 80% or higher, but also contain other non-psychoactive cannabis components, while isolates contain only CBD, refined past 99% purity. 0.5 FL OZ (15ml) of our purest CBD hemp oil contains 500 mg of CBD. 1.0 FL OZ (30ml) of our purest CBD hemp oil contains 1500mg of CBD. 0.5 FL OZ (15ml) of our pure CBD hemp oil contains 500 mg of CBD. 1.0 FL OZ (30ml) of our pure CBD hemp oil contains 1500 mg of CBD. 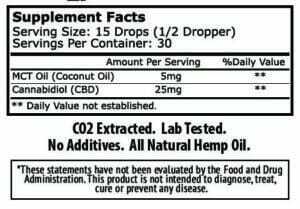 2.0 FL OZ (60ml) of our pure CBD hemp oil contains 3000 mg of CBD. 1.0 FL OZ (30ml) of our pure CBD hemp oil contains 400mg of CBD. 0.5 FL OZ (15ml) of our pure CBD hemp oil contains 350 mg of CBD.